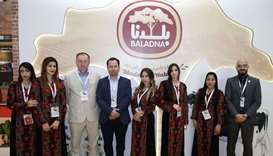 Baladna Food Industries, Qatar’s largest producer of fresh dairy, has commenced its third phase with the launch of the country’s first UHT (ultra high-temperature pasteurisation) - or long-life milk - line. Baladna has dismissed rumours circulating on social media outlets about the quality of plastic used by the company to pack foodstuff. Baladna distributed fresh milk and laban products at Iftar time to the public. 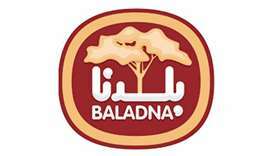 Qatari farm and food supplier Baladna has announced its participation in the ‘Qatar Sufficiency Exhibition (QSSE) 2018’, a first-of-its-kind event in the region dedicated to diversifying production lines and shaping the country’s future economy. 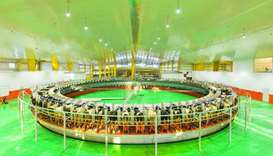 Qatari dairy company Baladna plans to raise the number of its cows to 14,000 by February next year and meet the local demand wholly by June. Turkish President Recep Tayyip Erdogan has launched a blistering attack on academics who criticised his policies in the Kurdish-dominated southeast, warning that they would pay a price after falling into a “pit of treachery”.